Circuit of The Americas and Austin360 Amphitheater are more than just a home for unique and exhilarating experiences. They have also become a major economic driver in Central Texas. Since its announcement in 2010, Circuit of The Americas has had a cumulative economic impact of $5 billion on the Austin metropolitan area. 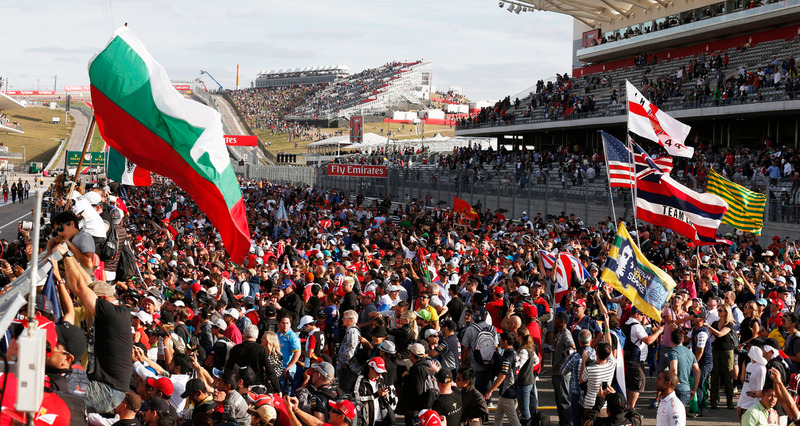 More than 1 million people from all over the world and from all 50 states attend COTA events each year. $5 billion: COTA's cumulative economic impact on the Austin metro area. $423 million: Direct visitor spending injected into Austin-area businesses during COTA events. $306 million: Annual payroll for Austin-area workers attributable to COTA's annual activities and operations. 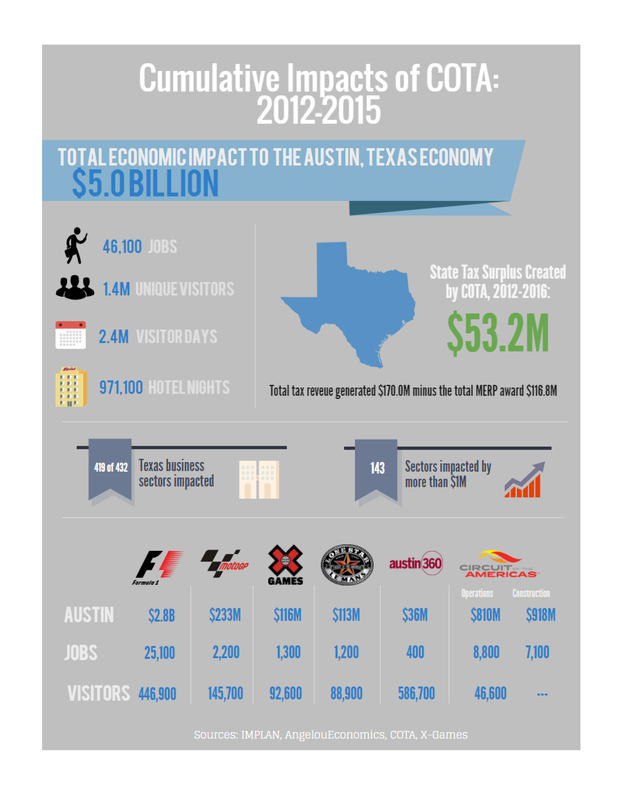 $810 million: Economic impact attributed directly to COTA operations. $3.1 billion: Economic impact for all other major sporting events, including F1, MotoGP, X Games, and more. $36 million: Economic impact of concerts and events at Austin360 Amphitheater. $14 million: Economic impact of track rentals and other miscellaneous events. 46,100: Jobs supported by COTA's annual activities and operations.